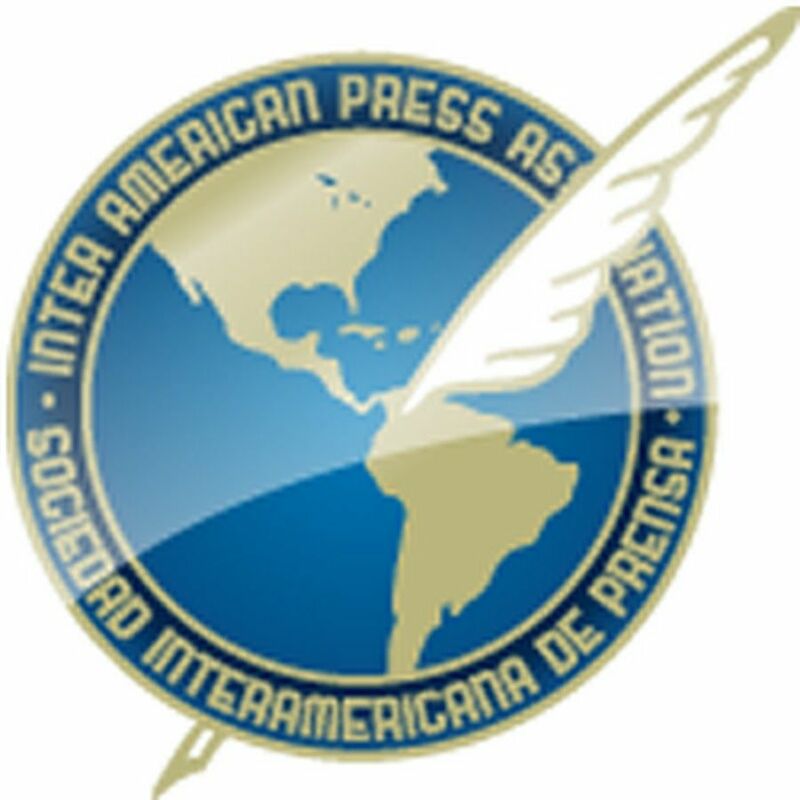 Freedom of the Press Grand Prize: The ECUADOREAN ASSOCIATION OF NEWSPAPER EDITORS AND PUBISHERS (AEDEP) for its continued defense of freedom of press and expression. AEDEP is an organization of the Ecuadorean civil society composed of the most important and influential print media companies in the country. César Pérez Barriga, of the newspaper El Universo, chairs the AEDEP. The AEDEP concentrates its activity on the defense of freedom of information and of opinion and safeguarding the survival and strengthening of Ecuadorean news companies, with the objective of guaranteeing the independence of the news media and of national journalism. It has a propensity towards respect for the opinion of others and supports its members when for them freedom to do business and freedom of expression are threatened or infringed. Since its adoption, the AEDEP has claimed the unconstitutionality of the Communications Law promoted by the government of Rafael Correa and used to harass independent media companies and critical journalism. Therefore, the Association carries out actions to repeal the Law. Uma estrada fantasma volta a assombrar a Bolívia. Brio Media, Brazil. Authors: Fernando Barros de Mello, Matheus Leitão, David Gonzalez, Milagros Salazar, Milagros Aguirre, Raul Penaranda, Paula Muñoz Encinas, Emilia Delfino, Luiz Ferraz. A multinational investigative journalism and denunciation effort. It harshly criticizes corruption, lack of transparency and environmental damage during the construction of the highway between the towns of Vila Tunari and San Ignacio de Moxos, which passes through the Indigenous Territory and the Isiboro-Secure National Park (TIPNIS). It reveals – in depth and on the basis of data and testimonies – the alleged alliance between the governments of Luiz Inácio Lula da Silva and Evo Morales to benefit Brazilian construction company OAS with money from the National Economic and Social Development Bank (BNDES). There were drawn up more than 50 articles and reports. A total of 17 media professionals from Argentina, Bolivia, Ecuador, Panama, Peru and Venezuela collaborated. Fantastic visual support of a filming team. Special series on O relatório da Comissão da Verdade, El País, Brazil. Authors: Talita Bedinelli, Heloísa Mendonça, Raquel Seco, Afonso Benites, Marina Rossi, Gil Alessi, María Martín, Carla Jiménez, Antonio Jiménez Barca. Three decades after the end of the military dictatorship in Brazil the National Truth Commission disclosed its final report. For this reason the newspaper published several articles on the matter, gathering testimonies by survivors of torture and victims' family members. The series is characterized by the summary, the direct language and the deep human impact of the personal stories. The Adjudication Panel also decided to award an Honorary Mention for the "Los niños del fango" work by El Heraldo, Honduras. Authors: Carlos Mauricio Flores, Nusly Saray Carías Arguijo, María Antonia Ortiz Molina, Dennis Eduardo Domínguez Cárcamo, Marcel Alejandro Osorto Erazo, Rafael Leonardo López, Manuel Enrique Rodríguez Castillo, Johny Amado Magallanes. A denunciation of violation of the rights of children in Honduras. Exploitation, abandonment, physical effort, latent dangers and abandonment of school. As a result of its publication the government reactivated the National Commission for the Gradual and Progressive Elimination of Child Work, inactive for the previous four years. Originality in the presentation of the cases – every day of the week a different one – where there were magnificently combined various genres: reports, features, interviews and analysis. Educational project of LA PRENSA GRÁFICA, El Salvador. Authors: La Prensa Gráfica team. An excellent project whose objective is the publication of educational products – endorsed by the Education Ministry – that are part of the school curriculum. In addition, there was designed a system of Student Social Service for young bachelor degree graduates to lend their support to the smallest ones at the literacy stage. The Adjudication Panel also decided to grant an Honorable Mention to the Educational Activities Section of the newspaper El Mundo, Colombia. Authors: El Mundo team. The proposal consists of a section of the newspaper where there is summarized that day's news content for teaching purposes. It covers all subjects and follows the outlines of the National Education Ministry. A mais maldita das heranças do PT. El País, Brazil. The extensive article, which displays an elegant and pleasant writing, describes the crisis of the Workers Party (PT) and, in general, of the Brazilian left. Strengthened by analysis and data it gave rise to an intense debate both in social media and in other publications. The Adjudication Panel also decided to award an Honorary Mention to Charlie Hebdo: the Cristo Vive case, of Luis Carlos Plata Ramos, Vanguardia, Mexico. The article focuses on the issue of discrimination and freedom of expression. It takes as its basis the fine that the Coahuila state government imposed on the Cristo Vive Civil Association "for homophobic comments in news media." Great argumentative and stylistic solidity and solid arguments in defense of freedom of the press and of expression. Coverage of the death of public prosecutor Alberto Nisman, La Nación, Argentina. Authors: Hernán Capiello and Paz Rodríguez Niell. The journalists followed up the inquiries into the death of public prosecutor Alberto Nisman, who was investigating a terrorist attack on the headquarters of the Jewish society AMIA. The close to 150 news items brought to light a large quantity of unknown details about the event, as well as relevant data and testimonies that are complemented by the correct use of visual elements. The Adjudication Panel also decided to award an Honorable Mention to El señor de los túneles, El Universal, Mexico. Authors: Salvador Frausto Crotte, Karla Casillas Bermúdez, Silber Meza, Zorayda Gallegos, Alejandra Sánchez Inzunza, José Luis Pardo, Eileen Truax, Froylán Enciso. 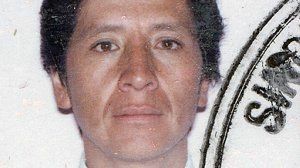 The articles revealed new information about the escape of Chapo Guzmán, among them secret documents of the Drug Enforcement Administration and a government report that indicated shortcomings in the Altiplano prison security system. There are presented abundant testimonies by experts and friends. Outstanding is the good use of data, infographics and photographs. Favela Amazônia. Um novo retrato da floresta, O Estado de S. Paulo, Brazil. Authors: Leonencio Nossa Junior and Dida Sampaio. Really a new and shocking picture of the Brazilian Amazon region, well distanced from the picturesque. A formidable denunciation of degradation, hunger, poverty, abandonment, violence, extermination of native communities and, in contrast, social resistance. Impactful photographic and video images. Its publication led to actions by the Federal Police and made the government modify the criteria of the Bolsa Familia social program. 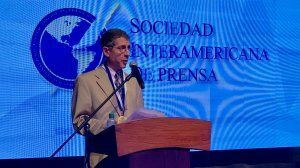 The Adjudication Panel also decided to award an Honorable Mention to El narco junto al pupitre, Newsweek en Español, Mexico, Author: Aníbal Santiago. Stark account of the conditions of education in Iguala, Guerrero State. The teachers live under threats and fight to instill in their students values that counteract the violence and negative influence of drugs and drug trafficking. The incredible story of Gabo, the professor, and a place called Recoveco (Cubbyhole). Revista Emeequis, Mexico. It narrates the curious story of Professor Cruz Hernández, resident in Recoveco – a public land in the Sierra named for the drug trafficker – whose residents competed for the Nobel Prize. A feature, well told, on a passion for reading, freedom and spirituality. A text that moves one for its simplicity and candor. The Adjudication Panel also decided to award an Honorable Mention to El camino de Delfino, Vanguardia, Mexico. Author: Francisco Rodríguez Lozano. With a simple and pleasant narrative that strictly follows the requirements of the genre the author reconstructs the story of the self-improvement of Delfino Rodríguez Vásquez, a common man. Delfino is a traveling salesman and, despite his blindness, is carrying out a university degree course, as he wants to be a professional salesman. Without sentimentality the author manages to paint a human being, an inspirational model. Incredible image, for its strength and symbolism, on the consequences of the overflowing of the Areco River in Buenos Aires province. It masterfully portrays all the desolation of a house owner in the face of the advance of the waters. The Adjudication Panel also decided to award an Honorable Mention to Miseria, Jornal O Globo, Brazil. Author: Marcia Laurene Foletto. The photographs made up a report (Os miseráveis) on the life of the people in the pockets of poverty in Rio de Janeiro state. The pictures, of great aesthetic value, are a slap at indifference and an accusation to all men. A work that encapsulates the spirit of a moment: the Venezuelan people, impoverished but courageous, go out to vote (represented by the little finger stained with purple ink) and the change, saw-like, breaks the chains. Its publication in Venezuela in the early days of December 2015 preceded the historic victory of the opposition in parliamentary elections. It was widely commented upon and served as an instrument of social mobilization. The Adjudication Panel also decided to award an Honorable Mention to Dilma, Revista Veja, Brazil. Author: Eduardo Baptistão. A drawing that displays richness in the form and subtlety in ideas. It illustrated some phrases of government leader Dilma Rousseff under the headline "Na lingua de 'D', de desastre"., the expression of bewilderment in the face of the impeachment process that was being started, one of the great events of 2015 in the Americas. Derrame de Petróleo, El Tiempo, Colombia. Authors: Irene Larraz, Juan Pablo Noriega Hederich, Carlos Morales, Camilo Ramírez, Bernardo Bejarano, Beiman Pinilla. The infographic seeks to present, in a simple manner, the extent of the social, environmental and economic impact of the FARC guerrilla attacks on oil pipelines over the years. An excellent combination of visual elements, a profusion of data. The Adjudication Panel also decided to award an Honorary Mention to Rio, cidade dos túneis, O Globo, Brazil. Authors: Nathany Santos, Renato Carvalho, Carolina Cavaleiro, Rubens Paiva, Thais Leão, Anderson Campos, Louise Tamiasi. Due to the peculiar topography of Rio de Janeiro the construction of numerous tunnels that connect the various points of the city turns out to be extremely complex. An interactive infographic that brings together valuable information, drawings and maps. The death of Alberto Nisman. Clarín, Argentina. A complete and detailed coverage on the day that it was learned of the death of public prosecutor Alberto Nisman, in charge of investigating the terrorist attack on the AMIA Jewish community. The use of resources and of all the languages and Internet formats to present the investigation into the action, reactions of politicians and the people, legal and judicial questions and international impact of the news. The Adjudication Panel also decided to award an Honorary Mention to Cobertura VII Cumbre de las Américas, TVN Noticias, Panama. Authors: Elizabeth Garrido A., Carlos H. González, Priscilla Pérez, Carola Vargas, Kerem Pérez, Leydis Delgado, Zelideth Cortez, Aaron González, Kris Ríos, Yamileth Ng, Verónica Herrera, Roberto Rodríguez, Jorge Gutiérrez, Daniel Gómez, Tomás Tryhane, Yudelkis Gaitán, Nayib Concepción, Joyce Baloyes. Detailed coverage before, during and after the Summit of the Americas. Coverage in real time and exhaustive inclusions of various aspects of the meeting, from official gatherings to the opinions of artists. An excellent combination of audiovisual resources. Las voces del 12F, NTN 24, Colombia. Authors: Yuranis Cristina Caballero Briceño, Angélica Paola Hernández Alfonso, Idania Chirinos Fernández, Maryorín Méndez, Rafael Hernández, Harold Martínez, Horst Waldmann, Johanna Hincapié, Diana Niño, Johnattan F. Bilancieri, Ana Vanessa Herrero. Las voces del 12F (The Voices of 12F) takes up again the events of 2014 that led to opposition protests and reviews the critical situation of Venezuela occurring one year after those events that left several dead or injured and thousands imprisoned. The work is outstanding for the strength of its images, the appropriate use of multimedia resources (photography, video, infographics) and a relevant work of reporting that shows impressive interviews. It is as well another confirmation that there does not exist sufficient censorship to prevent an opening up to the truth. The Adjudication Panel also decided to award two Honorary Mentions. The first to Desaparecidos, duelo eterno. El Universal, Mexico, and El Tiempo, Colombia. Authors: Ginna Morelo, Rafael Quintero, Claudia Báez, Alejandro Urueña, Juan Ríos, Cristian Peña, Mariana Escobar, José Darío Puentes (El Tiempo); Lilia Saúl, Daniela Guazo, Luis David Torres, Irving Morales, Emanuel Landa (El Universal). ince 1938 in Colombia and since 2006 in Mexico 125,838 people have disappeared. The tragedy and the horror, the violence and the lack of punishment have united the two countries. The work was done jointly by the data units of the newspapers El Tiempo of Colombia and El Universal of Mexico. The teams shared methods of investigation of data and ideas for the development and the visualizations. The result has been a moving audiovisual document based on a serious data analysis. An appropriate use of multimedia resources (photography, infographics and interactive maps). The Adjudication Panel awards a second Honorable Mention to Crime sem castigo: Tudo sobre o Contrabando no Brasil, Folha de São Paulo, Brazil, Authors: Luciana Coelho, Julio Wiziack, Claudia Rolli, Reynaldo Turollo Jr., Renata Agostini, Dimmi Amora, Sylvia Colombo, Carlos Dias, Lucas Ferraz, Claudia Collucci, Gabriel Mascarenhas, Renan Marra, Vinicius Pereira, Ana Estela de Sousa Pinto, Renato Andrade, Rogério Ortega, Lalo de Almeida, Avener Prado, Rogério Luiz, Mario Kanno, Lucas Zimmermann, William Mur, Lucas Tófoli. The investigation, which was carried out during two months, sought to cover the map of contraband in Brazil. The work explains, agreeably and instructively, the negative effects of the illicit trade that moves millions of dollars and functions as a parallel sector of the economy. Denounced are its links with drug trafficking and corruption. It makes good use of multimedia resources (photography, video, infographics) and shows impressive images of the Brazilian landscape and first-class reporting. Hispanos al rescate del Colorado. Univisión, United States. Authors: Clemente Alvarez, Nacho Corbella, José Fernando López, Mariano Zafra, Luis Melgar, Ricardo Weibezahn. Journalists follow the course, through two countries and seven states, of one of the most threatened rivers of the United States, the Colorado. They indicate its history and features, its maladies and ailments, its stories and its relationship with the Hispanics that lead its protection. A multimedia of great format and variety of resources: texts, images, videos, maps and interactive graphics, especially designed for mobile. A profusion of facts and analysis. The Adjudication Panel also decided to grant an Honorable Mention to Descanso com as águas, RBSTV, Brazil. Authors: Fábio Almeida, Guto Teixeira, Eduardo Azevedo, Daniela Selistre, Luysa Espinosa, Rafael Soares, Paulo Leitão, Ronaldo Sabin. The reporting team for three months traversed the main rivers of the south of Brazil: Sinos, Gravataí and Caí. A denunciation, in the form of documentary, of the pollution and other environmental offenses and how they are affecting the communities living in the deltas. Its publication gave rise to an environmental audit by the Public Ministry.